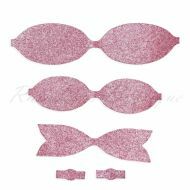 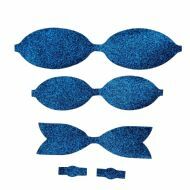 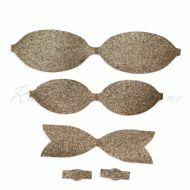 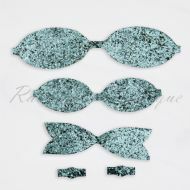 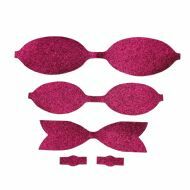 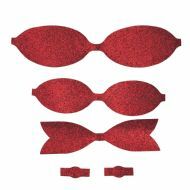 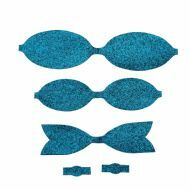 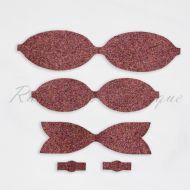 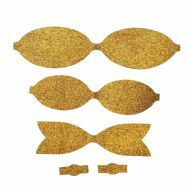 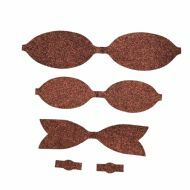 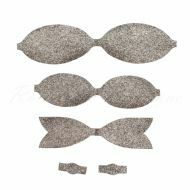 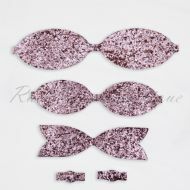 Pre-cut glitter fabric 4" Bows. 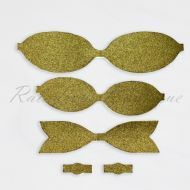 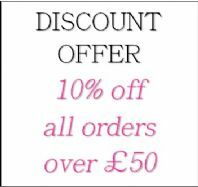 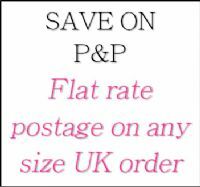 Large bow template measures 22cms straight across. 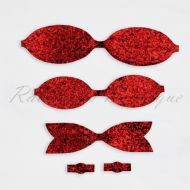 Smaller bow template measures 16.5cms straight across. 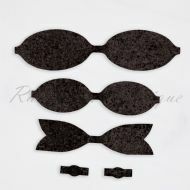 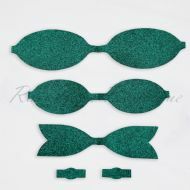 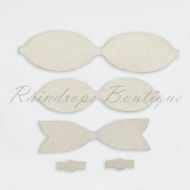 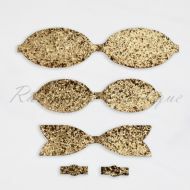 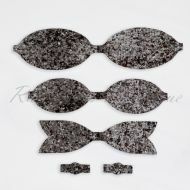 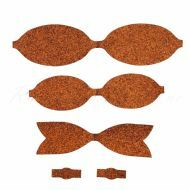 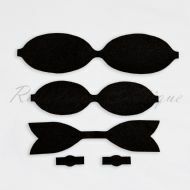 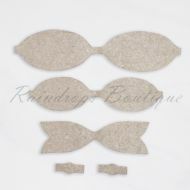 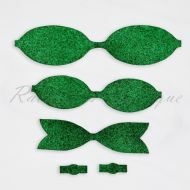 Kit comes with 2 centre pieces to make 2 bows or one layered double bow as per group photo. 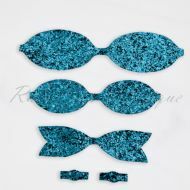 Some are fine glitter fabric and some are chunky. 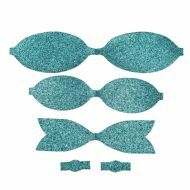 See separate listings to see if it's chunky or fine.